Inspire Bingle: Is God real to you? Did you hear about the skydiver whose parachute failed to open? That’s right, Levi Cave went sky-diving for the very first time. His chute malfunctioned and he fell 3,500 feet, hit the ground, and lived. He was asked about what went through his mind while he was free-falling. He said he prayed. Here’s what he prayed while hurtling through the air toward the ground at about 50 mph: “Okay, God, I trust in you. I believe in you. And I’d love to see my family again.” Cave said he then felt “this big hug, this big warm embrace” which he understood to be God’s arms around him, letting him know everything would be fine; that he would get to see his family again. Cave said he knew then that everything would be fine. And it was. 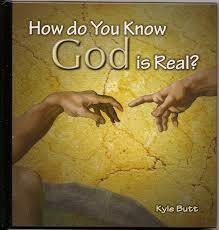 How real is God to you? Do you expect God to give you a big hug, a warm embrace when you’re in trouble? Are you ready to ask God to help you, to bless you, when you’re in a tight spot? Wherever you find yourself today, know God is real as you listen to life. What is power to you? How do you prepare for life? Who decides how fast you go? Do you know that you're special? Do you know enough to worry? Are you making a life? Do you pray in the bad times and the good? Do you whistle while you pray? Do you have wandering eyes? Do you assume you know a lot? Does it seem like you just can’t get it right? Do you just not get it some days? "Do you think someone else has it made? You haven't given up, have you? Do you have any gifts to exchange? "Words really do matter, don’t they?"